We all love a good deal once in a while. We invite you to walk in and try some of our great coffee, cheesecake or other delicious beverages and treats. Use the Clip Mobile coupon to buy coffee beans and you can enjoy the same great coffee we serve in our cafes in the comfort of your own home. Or try some of our award-winning cheesecake (You can pre-order to make sure your favorite is ready to go and even add a message to it if you want).Coffee, cheesecake, or sample from our great selection of breakfast & lunch items, snacks, vegan treats and more for half price! This app is available for your iPhone, iPod Touch, Blackberry or Android phone. It’s easy to use. 3) Download the app. It’s FREE! 6) Go to the location and click the “use now” button on your phone. Show their phone to the cashier when placing your order. Now you’re getting discounts on coffee, cheesecake or our delicious selection of beverages, sandwiches, wraps, soups and desserts. Download the Clip Mobile app and start saving on coffee, cheesecake and more today. Want a demonstration? Watch this video on how to use Clip Mobile. Regular or Swiss Water Decaf? As many of our regular café customers can attest, people love the smell and taste of fresh-roasted coffee — and for those of us who like to be at the top of our game, the caffeine boost from our signature blend. That distinct Guatemalan and Peruvian coffee aroma and body can be a pleasant pick-me-up on any morning, keeping you energized and alert. But what if you want that great coffee taste and aroma without the caffeine? Maybe it’s already late in the day and you’ve already got as much caffeine as you can handle. Or you’re feeling a bit jittery after your morning espresso and want to mellow out now. For that, we offer our Swiss Water Decaf coffee at all of Trees Organic cafes in Vancouver and Richmond. There are two ways of making decaffeinated coffee: with chemicals or through the Swiss Water method. We’re not fans of the chemical method. That’s why we like the Swiss Water Decaf Coffee method. 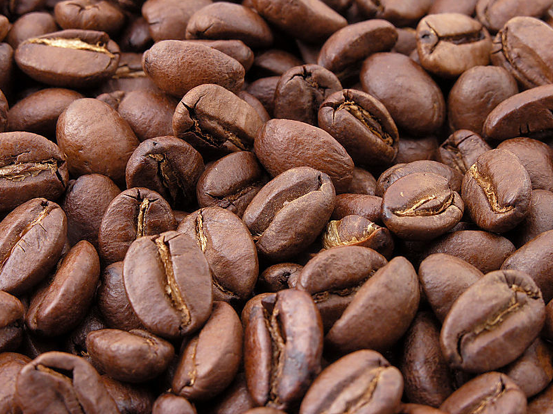 In the Swiss Water method, green unroasted beans are soaked in hot water, releasing the caffeine. The water then goes through a carbon filter. This absorbs the caffeine but leaves behind a green coffee extract, which – after adding more green beans, diffusing the caffeine and repeating the process — we can use to make decaf coffee. The coffee that’s produced retains almost all the flavor of caffeinated coffee, without actually giving you the caffeine “kick” you may be looking to avoid. When you come into Trees Organic cafes in Vancouver or Richmond, do you order regular coffee or decaf? Take our poll.